That’s what a YogaFit® instructor calls Canfitpro’s™ annual World Fitness Expo held in Toronto every August. This event presents various workshops for fitness professionals and gym/club owners to further their knowledge and earn CECs (continuing education credits). CECs are required regularly to maintain certification. The accompanying trade show features the latest fitness fads, workout trends and exercise gadgets and accessories. NEAT can burn an extra 400 calories a day. In an effort to incorporate more NEAT, I came up with the hover challenge. When using a public toilet, refrain from sitting on it. Hover above instead; it will activate your quads and you don’t have to worry about touching the seat! Every inch the head moves forward causes it to be 10 lbs. heavier. Your 12 lb. head can potentially weigh 42 lbs. depending on how far forward your head is. I have begun my journey as a fitness professional into the mind-body realm of fitness. Look out for more yoga-inspired posts. 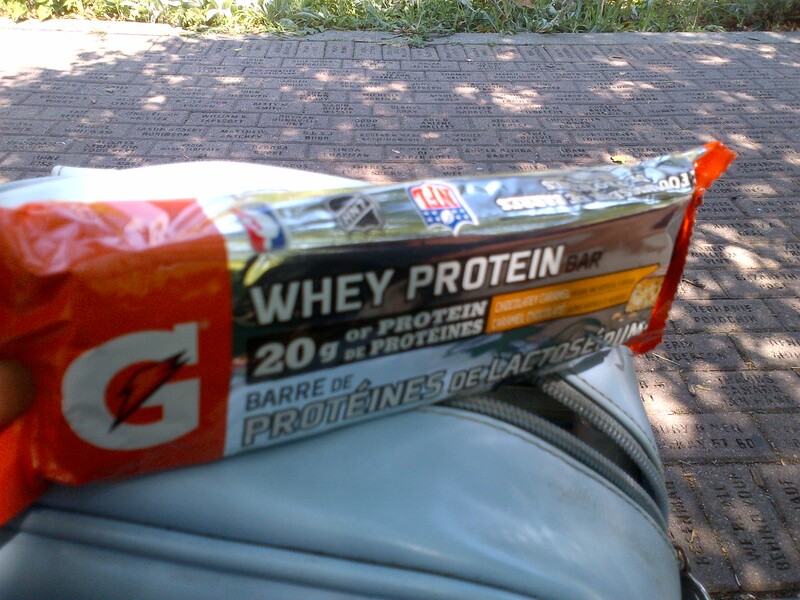 Delegates at the conference received a welcome bag which included some fitness magazines, discount coupons and a whey protein bar by Gatorade. Full of sugar (22g), hard to pronounce ingredients and hype, this is not food for athletes or anyone health-conscious. Avoid! And make your own! Stretching fascia as well as muscle feels really good. Fascia is becoming the new focus of flexibility training.